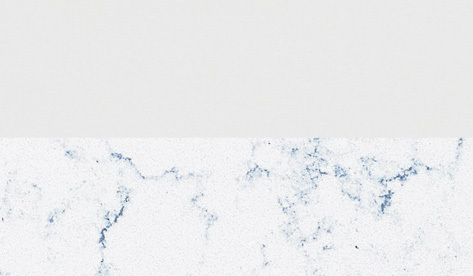 New colors of Corian® & Zodiaq® on trend, fresh & exciting. Achieve a clean, perfect look in any space with new, Crisp Whites. 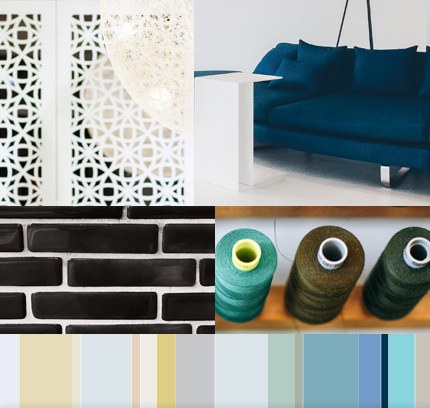 SEE HOW new blues today inspire designs of tomorrow IN OUR COLOR TREND GUIDE. Enjoy a modern, natural look influenced by stone and earth. See how new Greens and Browns are IN STYLE in our Color Trend Guide. Explore our new color cOLLECTIONS & GET the Color Trend Guide today! LET our new colors inspire vision for THE SPACES IN your home. 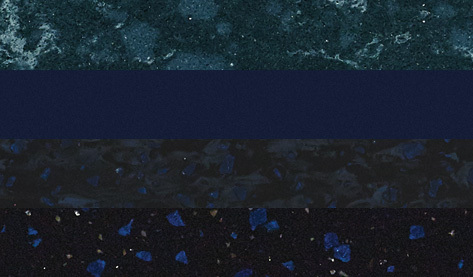 Learn how the new aesthetics of Corian® and Zodiaq® were developed through on-trend colors and patterns, and see how to incorporate these new hues in to your next project. You will also receive relevant email communications from DuPont. Moreso than ever before, we seek to gain new meaning, and aspire to be surrounded with positive energy in an enhanced environment. Smart homes, open and accessible floor plans require adaptable colors influenced by nature and developed through technology, to lift our spaces, and our lives. It is necessary to establish a new, enriching experience through the rooms and corridors of public and private spaces for people of all walks of life that yearn for up-to-date interiors that calm, that pique interest and motivate. These new colors, drawing from the needs of our professional and consumer community, seek to inspire vision and transcend the status quo with a refined, colorful yet complementary palette. Sign up to get our Free Color Trend Guide and get to know the new colors below. Neither too cool or too warm, these new whites add a dash of purity, success, cleanliness, and allow for designers to utilize the hues as a blank canvas to deliver creations fit for a modern world and beyond. With varying lightness, patterns and jewel-like additions within, these fresh blues provide a subtle tone of confident expertise yet are tranquil. They establish a feeling of upscale fashion-inspired sentiments and help expand our collection of blues to provide an array of options for projects big and small. 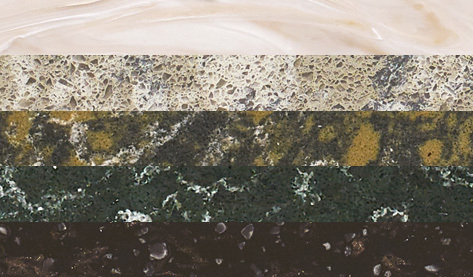 Stone surfaces have always drawn inspiration from the natural, and contemporary design dictates that the earth around us, the colors of green and brown, provide a perfect vision for interiors. Excelling in the presentation of comfort, strength, calmness, and acting as a perfect pairing for other colors and interior design elements, these new additions fit perfectly in the spaces of today. 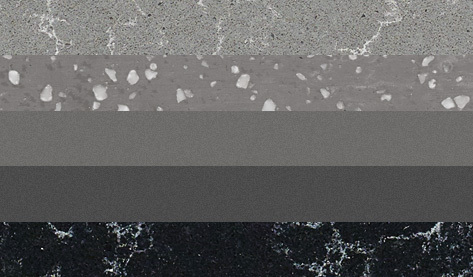 From light to dark, from interior to exterior to home to commercial settings, gray is a current favorite in the design world, and matches perfectly with a myriad of materials and interior displays. It is conservative while at the same time can contrast well for additional elegance. All rights reserved. Copyright © 2018 DuPont. All rights reserved. The DuPont Oval Logo, DuPont™, The miracles of science™ and all products denoted with ® or ™ are trademarks or registered trademarks of E. I. du Pont de Nemours and Company or its affiliates.